Tanto Knives (correctly spelt tantō 短刀 meaning "short blade", but no one spells it that way on search engines ;-) ) have a long history that reflects the political and social changes of feudal Japan. 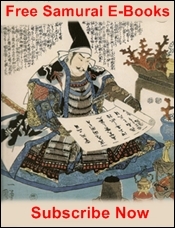 In the previous article we examined the earliest developments of the tanto up until the coming of the three great unifiers of Japan beginning with Oda Nobunaga in 1573. 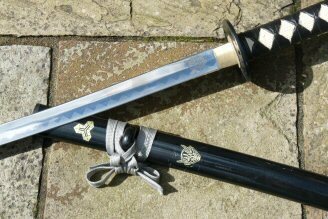 Throughout this period of unification Tanto knives were badly needed with the increase in civil strife but badly made due to mass production. With the finite resources of steel and metal available the tanto became shorter and thinner, thus leaving more raw material for further blades. Some smiths still produced excellent quality and beautiful pieces but for the majority the concern was less on quality and more on the fast turnover that was required by the unprecedented demand. 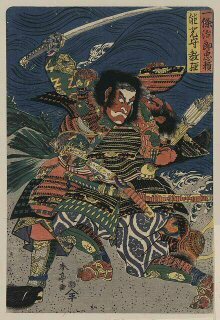 Once Nobunaga came to power he set about applying ruthless strategy and a will of iron to bring the country under his control. Subduing the largest amount of land of any warlord to date Nobunaga would later be assassinated by one of his own lieutenants. Nobunaga's death was rapidly avenged by another of his commanders, Toyotomi Hideyoshi (豊臣 秀吉) would take the reins of power as the second unifier of Japan. During his reign he would settle even greater amounts of Japan and continuity to unify the nation, ultimately leading military expeditions to Korea and even planning attacks upon China. He would die without a strong heir. This lead to the last great battle for Japan between his generals. One man would prove victorious - Tokugawa Ieyasu (徳川 家康) the third and last of the unifiers of Japan. Iyeasu would secure an unrivalled lineage that would lead to 200 years of peace in Japan until the end of the feudal reign and establishment of modern in 1854. Throughout the unification of Japan and the struggles of these 3 men to shape the nation, tanto knives would take their penultimate shape also. 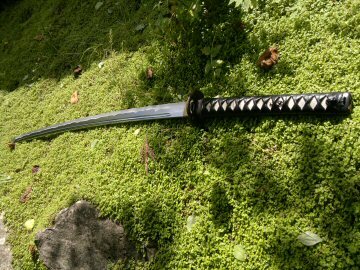 Major advancements in weaponry would take place, chiefly the development of katana (刀) - the most well know style of Japanese sword, and it's shorter companion blade the wakizashi (Kanji: 脇差 Hiragana: わきざし). Suddenly the tanto was rendered obsolete, unneeded and as such its manufacture fell into decline. The only blades made during this period were artistic imitations of the great blades of years gone by. This trend reversed briefly just prior to World War 2. 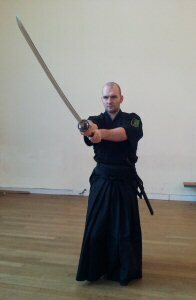 With the re-ascension of the Emperor and a fervour to emulate the warriors of old, the trend to wear the dasiho (the twin swords of the samurai - check out the reviews section for my detailed look at the Tea Culture Daisho) once again became vogue and the tanto experienced a momentary resurgence. It was, as history notes, short lived and lead to the greatest reduction in tanto to date. After the loss of Japan to allied forces, the production of weapons, particularly those associated with the extreme militaristic wings of Japan were banned. 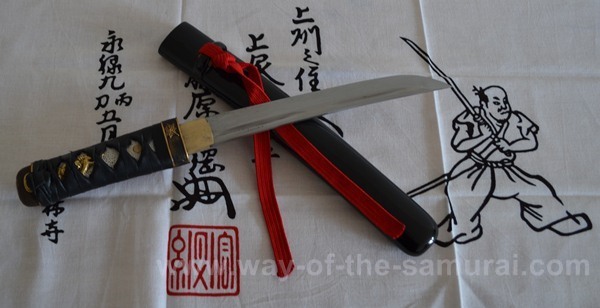 The history of the Tanto knives would have effectively ended at this point were it not for the efforts of American and European enthusiasts of the Japanese martial arts. 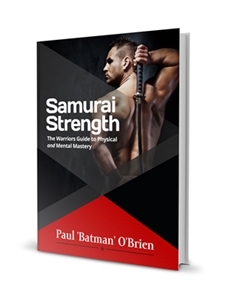 With their interest in the Koryū (old schools of martial arts) and Gendai budō (現代武道 , modern martial arts) the tanto has seen a resurgence since the 1960's. This trend is continuing to increase with many modern American and European knife companies, such as Cold Steel, looking to the tanto as inspiration for their modern blades and it looks like the history of the Tanto will continue. Speaking of which you can read my review of the Cold Steel Imperial Tanto here.